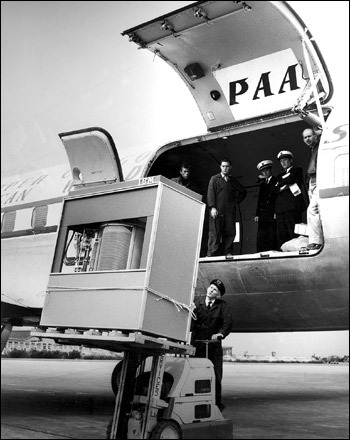 In September 1956 IBM shipped the 305 RAMAC, the first computer with a hard disk drive (HDD). The HDD weighed over a ton and stored 5MB of data. Got back from the M500 weekend at about 9:30 last night due to the traffic on the M40 being horrendous. That aside the weekend was very good (well presented, informative, educational and fun). Richard Walker was our tutor and there where 26 in the group. Each tutorial covered a block from M301 and was broken down into two sections. The first section was to get us thinking about the relevant block, by answering questions that Richard had devised, and the second section was trying to answer questions from past papers. Rather than work as individuals we worked in small groups, and this very much helped. But it was not all work and no play. Friday evening a group of us went to the Blue Mango curry house (really recommend it) in Broadstreet. Walking down Broadstreet was a real eye opener; it was just like those police programs on TV were they have to control the drunks coming out of bars. Saturday night we went to the Sack of Potatoes, a pub on campus, and eventually crawled into bed at about 1:30 Sunday morning. Would I recommend the M500 Revision weekend? Most certainly and if they include M359 next year then I well be going again.